Dubai is the fastest growing economy across the globe with lots of added attraction for the tourists and corporate meet-ups. People are coming from various regions to explore the natural beauty that is fused with the latest development in construction and technology. The skyscraper architecture, parks, shopping malls, hotels and restaurants with delicacies from multiple regions, and the multicultural events exemplify the charm of Dubai. The tourists who are excited to make the most out of their tour often face the hurdle of hiring a rental car. They find multiple issues as they are completely new to the region, its rules, culture and climate. The change in climate is of a major concern as tourists in Asian, European, and American states have not experienced such a climate before. For a driver, it is mandatory to know a region before deciding to take a drive. Dubai offers a hot and dry atmosphere, smooth highways, and rough terrains of the desert. The driver is held responsible for understanding the routes, adjusting temperature settings and the air pressure in the car tyres in Dubai. In addition to these basic tips, there are various other aspects that have to be considered before renting a car. Read through the following tips to quick knowledge update. 1. You must be at the age of 25 years or above to be eligible to drive a car in Dubai. This is the minimum age requirement so that the young and adult are restricted from driving rashly on the road. 2. Hold a valid driving license before stepping on a rental vehicle. Drivers from the neighboring countries are allowed to use their local driving license. People from abroad shall check if their native licenses are valid or they have to arrange an equivalent. If their documents are invalid, they shall seek an international driving Permit (IDP) to continue exploring the beauty of Dubai. 3. Visitors are not permitted to drive a personal car in Dubai that is either borrowed from a friend or relative. They can rent a car with a valid driving license and insurance cover. If their home country license is not acceptable in Dubai, they are required to apply for a temporary certificate that is valid during their stay. 4. Consider online on OneClickDrive as well as offline research of finding a suitable car rental company for your tour. Shortlist a few names, contact them, and compare prices against their service features. You will get a suitable match for your tour. 5. Read a company policy thoroughly before finalizing a deal. Most of the companies frequently change pricing for their luxury cars as per the availability and peak seasons. Make sure you avail reserve a car at affordable prices and avoid any peak factor. 6. Agree to their terms and conditions only if it seems realistic. They have a defined number of hours when you rent out for the whole day. Pay attention to the fine if mentioned any in case you return the car late. Usually, a friendly negotiation can award you a few extra hours of driving without extra charges. Got the car? Ok, fine. But, this does not mean to drive the car out of the rental shop and continue driving without examining the functions, conditions, and fitness of the car. 7. Have a quick look around the car to ensure the car is scratch free. If you find a scratch, take a few snaps of the damage and report it immediately to the agent who is holding you the car. Make sure you will not be held liable upon return. 8. Examine if the car tyres are inflated or have weary treads. 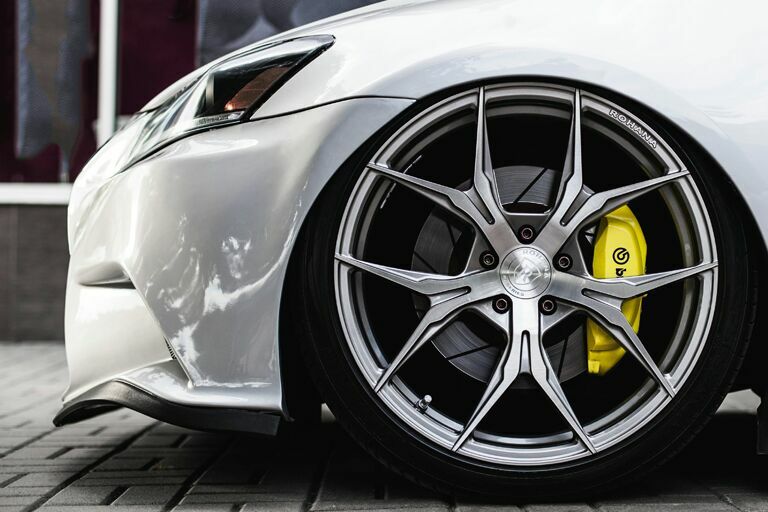 The fitness of car tyres in Dubai is of utmost importance. Driving on the highways in the hot weather is a tough experience and your safety depends on the reliability and strength of the tyres. Ask to replace the car or tyres, but don’t compromise on the safety of your family or companions. 9. Have a glance at the odometer and calculate as if you are charged reasonable or higher. A car that has covered more than 25,000 miles has depreciated value. Hence ask for a better deal. 10. Check water and fluid levels of the car by opening the hood. If you are a beginner, ask the agent to assist you in doing that or watch a few tutorials on a video sharing website before leaving for a rental company. 11. Step in to ignite the car to check the fuel gauge and head lights. Car rental companies generally offer cars with a full tank so be sure the fuel gauge shows a full sign. Turn on the lights and indicators, and ask for a fix if these are not working. Also, turn on the central air conditioning as Dubai has a hot and dry weather. You have to adjust the temperature settings for a peaceful drive. 12. Take a test drive within the premises of the car rental company to become familiar with the steering, turn the car with indicators, observe the breaks, and keenly listen to any sound produced by the car. An expert driver can feel air pressure and alignment of the wheels on the first drive. You can also do so if you have an expert level driving skill. Dubai has harsh punishments when it comes to violating the law. Don’t expect the police will pardon you for having a resident or tourist visa. The rules are same and have to be followed by all. 13. Taking the rental car outside the UAE is prohibited. However, always make sure if you can drive the provided car to other emirates: Abu Dhabi, Sharjah, Ajman and so on. Certain cars may not be registered to be driven outside of Dubai city limits. 14. The insurance policies of rental companies do not cover the loss or damage to the car. You can request for supplemental insurance to remain at peace. Drive carefully with regular shoulder checks. New drivers in the UAE find it difficult in their early days. 15. Maintain lane discipline and avoid flashing lights. Maintaining line and lane is mandatory across the globe, but is highly significant to follow for drivers in Dubai. You can account for luxury vehicles, sports cars, and heavy-duty trucks moving fast on the highways. Switching lanes with these vehicles around you is a death threat to you and your fellows. Flashing lights to the cars ahead of you is mischievous, so avoid it. Driving a rental car in any city is full of risks. Dubai is a bit different because of its increasingly busy roads and culturally diverse population. A visitor may find it hard to rent and drive a car, but with due guidance and following the rules, there are endless possibilities. In this post, we have described valuable information that may help you rent a car and understand the driving ecosystem in Dubai. If you have a priceless tip, please don’t hesitate to share with us. We provide Hanover MA to Logan Airport Car Service Limo and car service from Hanover MA to Boston MA or Logan.